Our clients come from a broad range of industries, with locations across the globe. They range in size from mid-tier private equity backed companies to stock market listed multinational enterprises. What unites them is their focus on high quality cash forecasting and liquidity reporting. A selection of our current clients can be seen below. 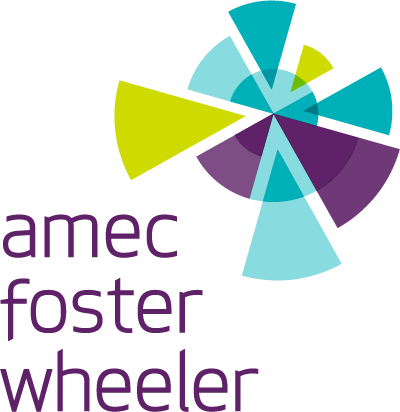 Amec Foster Wheeler plc is a British multinational consultancy, engineering and project management company, headquartered in London. Amec Foster Wheeler employs over 40,000 people in more than 55 countries, including Afghanistan, Australia, Azerbaijan, Brazil, Canada, Chile, China, India, Kuwait, Qatar, Peru, Poland, Turkey and the United States. The company generates over £5bn of annual revenue and is listed on the London Stock Exchange. SSP group have over 500 brands in their portfolio ranging from Starbucks to Burger King which operate in over 2,000 travel outlets in over 30 countries. The company employs 30,000 people across these locations and generated close to £ 2bn revenue in 2016. Sulzer offers a range of products and services to industries including oil and gas, power generation and chemical processing. The company operates 180 manufacturing facilities worldwide and generates over CHF 3bn in annual revenue. Sulzer is listed on the SIX Swiss Exchange in Zurich. The TeamViewer application has been installed on over 1 billion devices since the company was founded in 2005. Over 90% of Fortune 500 rely on TeamViewer for support and collaboration and 20 million devices are using the application at any one time. TeamViewer are headquartered in Germany. Headquartered in Luxembourg, IAC Group operates 77 manufacturing facilities in 18 countries. The company has around 100 total locations in 21 countries, including 27 design, technical and commercial centers. 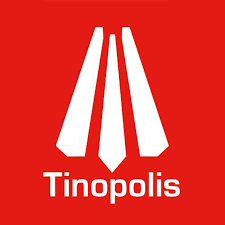 Tinopolis is one of the largest independent television suppliers in the UK and a producer of programmes for all the top networks in the USA. The company operates across a number of genres such as factual and entertainment and group companies include Firecracker, Mentorn Media and Pioneer Productions. Ringier is an internationally active, modern media group with an integrated and diversified value creation chain. Ringier are Switzerland‘s largest internationally active media group, with revenues of over CHF 1 billion in 2015. Ringier operate across multiple verticals including print, digital, content, distribution and advertising. Ringier operate in multiple countries across Europe, Asia and Africa. Ornua markets and sells dairy products on behalf of its members; Ireland’s dairy processors and, in turn, the Irish dairy farmer. Operating globally from 18 business units, Ornua exports to c.110 countries worldwide and has sales of c.€1.75 billion annually. Rubix, with a turnover of more than €2.2bn in 2017, and operating in over 650 locations across 23 countries, is Europe’s largest supplier of industrial maintenance, repair and overhaul (MRO) products and services. On Sunday July 8, they achieved 27th place in the prestigious Sunday Times HSBC Top Track 100, which ranks Britain’s top 100 private companies with the biggest sales. Trident Maritime Systems is America's largest and oldest provider of turnkey marine outfitting solutions. Trident work in cruise, military, oil + gas and commercial shipyards in 33 locations across the globe providing interiors, distributed ship systems, electromechanical solutions, and automation and control for the marine industry.